Ok, so we all know that JK Rowling's final Harry Potter book is due out anytime now. For those who are wondering if there is life after Harry, the good news is there is. Barry Cunningham will be publishing Tunnels (originally named The Highfield Mole) in the US and UK next month. Barry Cunningham was the man who famously signed up JK Rowling for her Harry Potter series while he was with Bloomsbury. 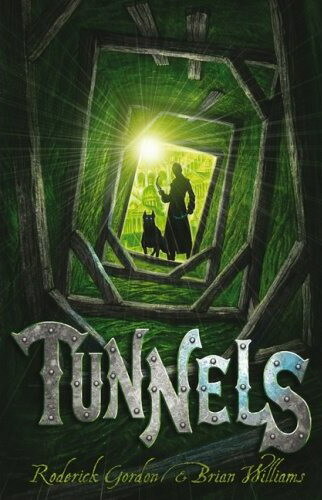 In other words, Tunnels shall be the next Harry Potter. The original book, The Highfield Mole, was initally a self-funded book and was published into obscurity. However, ever since the announcement that the book will be published by Cunningham, first editions of the book has since skyrocketed. A quick check with Amazon and Abebooks. showed that the original signed hardcover can now fetch anywhere from USD 500.00 and even over USD 5000.00 if it were a "Remarque" edition (There are only 80 individually numbered copies of it in the world)! For the rest of us, the soon-to-be released paperback is expected to sell at around USD 10.00 and I supposed it will be a bit more in Singapore, taking into consideration shipping charges and GST. Watch for it on your local bookshelves.